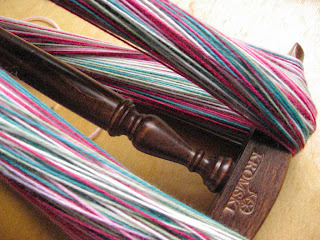 For the past 2 days I have been trying to master the art of making watermelon stripe sock yarns. I do believe I've got it. 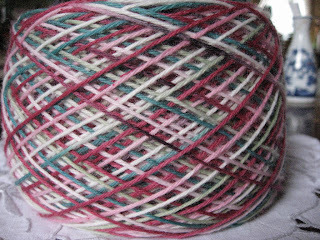 Soon I will offer them for sell on etsy . How exciting is that? I have also been watering the lawn profusely....What a waste of time, it's been raining most of the day today. I know,I know should have looked at the weather channel, but it's Big Sky Montana in August....Suppose to be very hot and dry.